The Healthy-Aging Diet™ HCG Weight Loss Program is a medically supervised system that can result in fast safe weight loss if followed exactly. In fact you can lose a half a pound a day on average! The original hCG program was discovered by a British medical doctor in Rome, Italy over 50 years ago. While working with extremely over weight patients Dr. A.T.W. Simeon designed a unique formula to assist obese patients to lose weight even with the many symptoms/side affects of obesity and contra-indications from the many prescription drugs often prescribed for those ailments. HCG is a simple glyco protein not a metabolic steroid or human growth hormone. Many of the chemicals in our food supply including artificial sweeteners, high fructose corn syrup and MSG block our bodies own ability to burn abnormal fat. Instead we start a low calorie diet and our bodies go into starvation/store mode and we end up burning lean muscle and never reaching our "fat" loss goals. Dr. Simeon's weight loss protocol has been used for decades in Europe. And over the last few years there has been a renewed interest in Dr. Simeon due to a best selling book by Kevin Trudeau who wrote about Dr. Simeon's hCG protocol and brought his weight loss program to the masses. There is almost a frenzy about this "old" but suddenly "new" approach and Dr. Simeon's basic hCG principles are appearing everywhere. In the book, the original hCG diet is outlined with its extreme (500) calorie and protein restrictions which are very difficult to follow but did result in fast weight loss. Unfortunately it also resulted in the loss of an unacceptable amount of lean body mass and most patients became so protein deficient they could only be on the program for a maximum of six weeks! It didn't matter if a person was 6" 4 and 350 pounds or 5' 2 and 200 pounds with heart disease they all started with the same amount of calories and protein. We all know that a "one size fits all" diet does not exist! At our Healthy-Aging Body™ Weight Loss & Wellness Clinics we have developed an hCG weight loss program that integrates the basics of the original hCG diet with results from current medical studies to provide a system that has been clinically shown to rapidly burn fat while maintaining lean muscle mass and eliminating the risk of becoming protein deficient. We have developed an individualized program to provide each patient with just the right amount of calories and protein needed for fast safe weight loss without the risks and difficulties associated with the original protocol. In fact, because our program emphases fat loss the patient can stay on our hCG weight loss system until they reach their goal weight. Our clients experience fast safe weight loss, have lots of energy, feel good and have minimal food cravings; with noticeable health improvements in just the first two weeks! 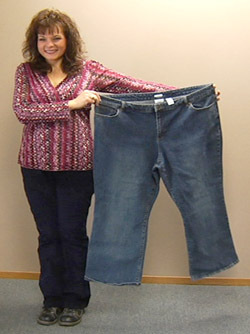 This makes staying on our program easier than the original hCG diet protocol. Our Healthy-Aging Diet™ Weight Loss regimen is directed by our physicians as it involves the natural hormone hCG which is taken (either through an injection or orally) in very tiny amounts. And combined daily with the proper amount of calories and protein needs which are calculated for your weight loss goal, the effect can be sensational, with 1/2 to 1 lb per day of fat loss commonly seen. The biggest concern should be: "Is the hCG you are using coming from a U.S.A. licensed pharmacy? Is it the prescription and not the homeopathic drops that the FDA has deemed illegal? The internet is full of "Do it yourself, Get your homeopathic hCG drops here" websites with questionable protocols and the very dangerous 500 calorie diet! Rest assured that our hCG comes from a U.S. FDA approved pharmacy here in the USA! Our HCG Healthy-Aging Diet™ Weight Loss Program may well be the most effective and safest present day version of Dr. Simeon's work. Our patient's are monitored carefully to determine that the weight loss is coming from fat, not lean muscle mass. We use specific additional components to help assure appropriate and rapid weight loss; Including providing our clients with vitamin B-12 & lipotropic injections which have shown amazing health benefits for weight loss, increased energy & stamina, healthy skin and reducing stress. Our team of doctors, nurses and nutritionists are committed to the safest and best possible outcome for our clients. There are absolutely no stimulant drugs or anything that might increase the pulse or blood pressure in our program. The Rx hCG is the magic that works with your body with our healthy balanced eating plan.. Under the correct circumstances, the ability to lose fat without feeling terribly hunger is the most common result we see. Through patient education our clients become familiar with the use of Rx hCG for weight loss and understand their responsibility to help in the quest of losing weight safely and quickly. We don't guarantee that they will lose weight but we will provide them with an excellent opportunity to enjoy the benefits of a trimmer and leaner body with a good, healthy BMI. A healthy BMI (Body Mass Index) falls between 18 and 25. In the range of 25 to 30, the person is considered overweight. If the BMI is over 30, the person is considered obese and over 40 are considered morbidly obese. The vast majority of our clientele range between 20 and 45 lbs overweight with a BMI between 28 and 35.